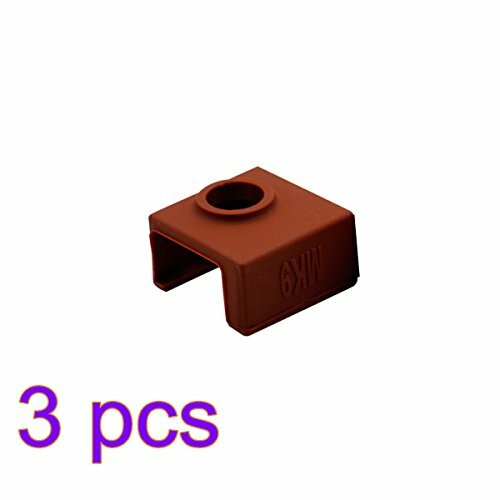 This item is a silicone protective case for MK7/MK8/MK9 aluminum heater block. It is a great accessory for 3D printer. - Made from premium silicone, it is flexible and stretchy. - Protect MK7/MK8/MK9 aluminum heater block from getting dirty. - A great accessory for 3D printer. Made from premium silicone, it is flexible and stretchy. Protect MK7/MK8/MK9 aluminum heater block from getting dirty. A great accessory for 3D printer. View More In 3D Printer Controllers. If you have any questions about this product by UKCOCO, contact us by completing and submitting the form below. If you are looking for a specif part number, please include it with your message.